There are a number of myths surrounding health & safety, one of the most popular being that “conkers” players are obliged to wear gloves and safety goggles! The truth is, a well-meaning head teacher advocated the use of PPE and ensuing negative publicity started the myth. Of course none of this had anything to do with official directives. 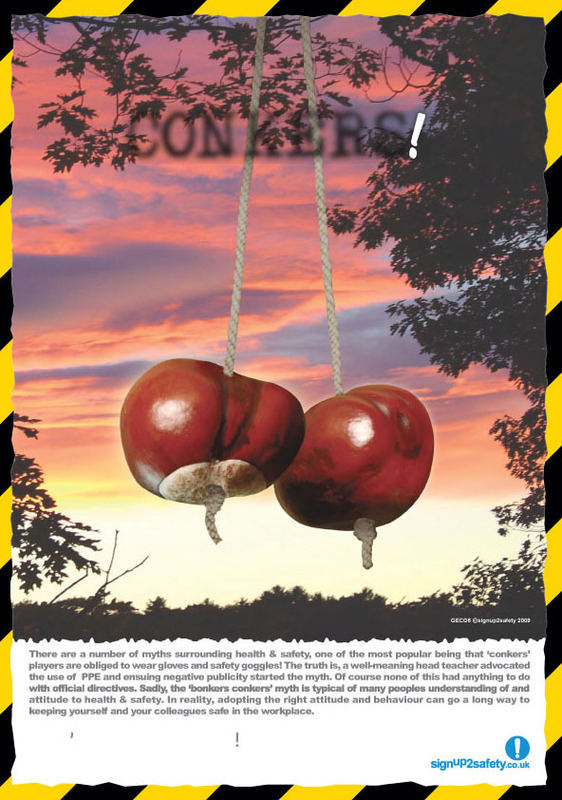 Sadly, the “bonkers conkers” myth is typical of many peoples understanding of and attitude to health & safety. In reality, adopting the the right attitude and behaviour can go a long way to keeping yourself and your colleagues safe in the workplace.